Scientists at the UCF are zeroing in on a new clue to understand a mysterious disease that affects about half the sea turtles in the Indian River Lagoon. “Theoretically, the more different types of MHC genes you have, the more different types of invaders you are able to bind to and thus protect the body from sickness and disease,” says Katie Martin, a doctoral student in UCF’s Department of Biology who is analyzing the potential connection as part of her research. If the genes do dictate susceptibility to the disease, maybe turtles with a certain gene type never get the disease, Martin says. “Or maybe we don’t see any pattern in particular, which would still be a result in and of itself, which would mean that even with MHC variation, it’s still not enough to modulate and fight off FP infection,” she says. 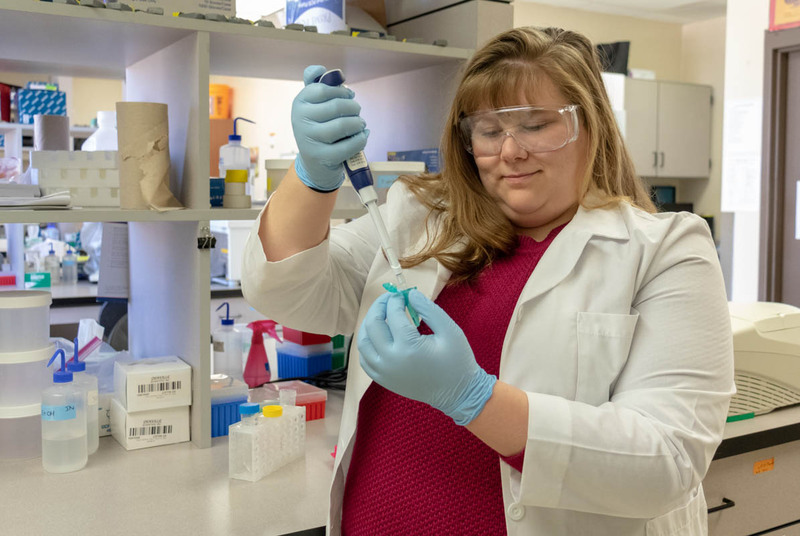 Katie Martin, a doctoral student in UCF’s Department of Biology, works in a laboratory. Martin says other factors may also play a role if the turtles develop tumors, including warmer waters; increased nutrient levels from runoff and inland sources; the drop in ocean pH from absorbing the greenhouse gas carbon dioxide; and pollution. Savage says the research is important for two reasons. 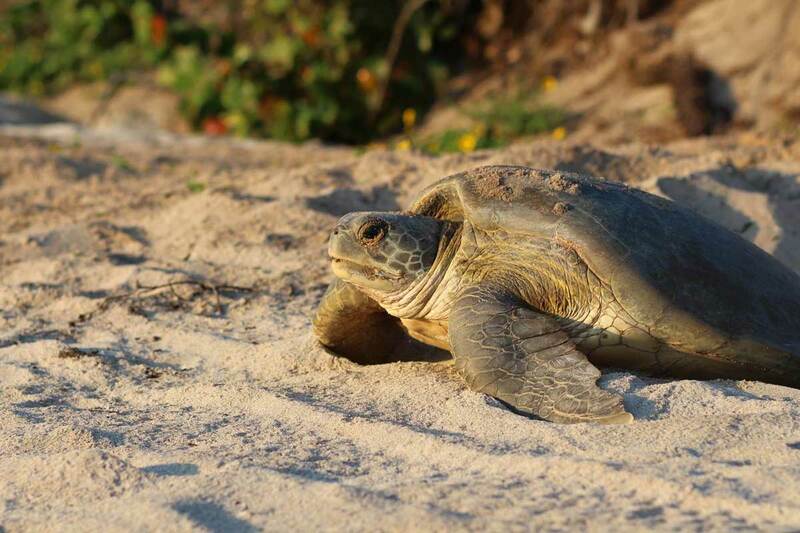 “On the conservation front, FP impacts approximately half of the coastal juveniles sampled in the Indian River Lagoon, and we still don’t fully understand its impacts on green sea turtle population health and viability,” she says.